The adult sized bodysuit fits up to a chest size of 42. 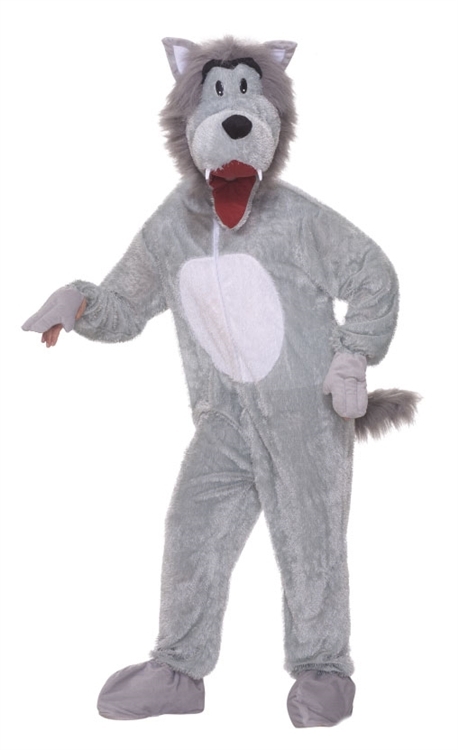 The separate mask and headpiece fits over the head and the wearer looks out through the mouth of the wolf. Howl could you not love this?